I've been watching Oscars as long as I remember myself. I never miss the ceremony. While I was living in LA for two years, I even got to see how they put it all together. 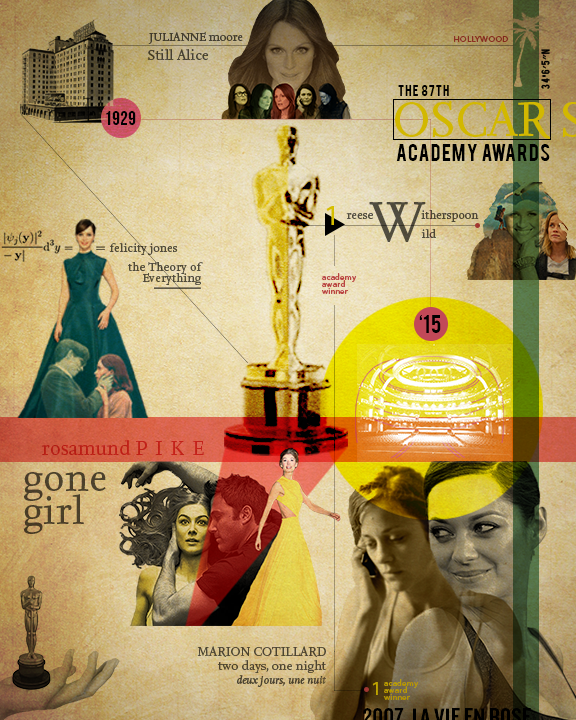 My long time favorite award show has inspired me to make this print for the Best Actress in a Leading Role nominees. Thanks for checking it out!